The retailer's new video streaming service will allow parents to search through 4,000 titles by age, genre and even popular movie character. Toys R Us is getting into the video streaming business. On Thursday, the toy store company is launching toysrusmovies.com, a new digital service for users to stream and download movies and television shows geared toward children. The movies are priced at $2.99 for a 24-hour rental and TV shows are $1.99 a pop. The prices are comparable to Apple's iTunes store. With this move, Toys R Us is wading into a crowded arena of competitors that include Netflix (NFLX), Wal-Mart (WMT) Stores, Amazon (AMZN) and Apple (AAPL), all of which are growing their online video presence. Toys R Us spokeswoman Katie Reczek said the site's family-friendly content will set its service apart from its competitors. Toys R Us Movies will offer instant access to more than 4,000 titles. The site will also feature new movie releases on the same day the DVDs hit retail stores. TV shows will be available the day after they air. The site is equipped with customizable parental controls. The site will be powered by Rovi (ROVI)Corp, a digital entertainment technology company. The store has plans to expand from online streaming into Blu-ray players, TVs and tablets in the future. It also plans to create apps for Apple and Google's (GOOG) Android devices. 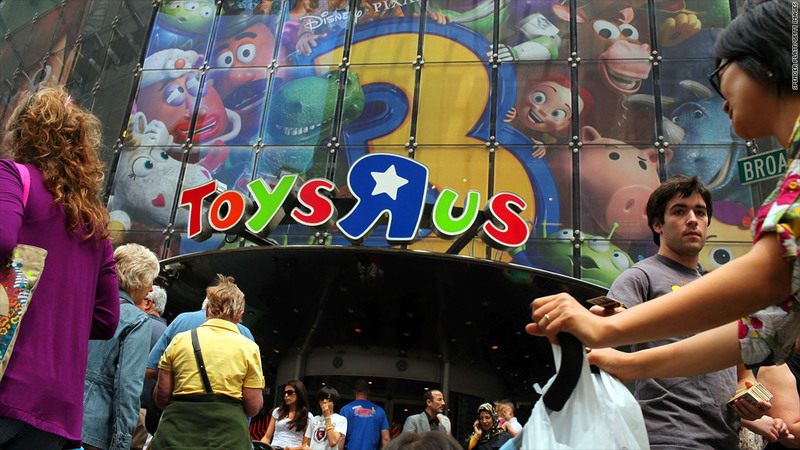 Toys R Us, which has over 1,500 stores globally, has made several moves recently to gear up for the holiday shopping season. It announced a free layaway plan and ramped up holiday hiring by adding 45,000 seasonal workers. The retailer also announced its own tablet for children, the "Tabeo," set to hit stores Oct. 21. A Toys R Us movies app is being developed for the device. Competitors are also upping the game. Last month, Amazon reached a deal to expand the roster of movies and shows offered on its Amazon Prime Instant Video service. Wal-Mart (WMT) has also been growing its online collection and offers discounted prices on digital movies. The heavy competition has weighed on Netflix, which has seen a 13% decline in its share price so far this year. Toys R Us hopes to lure users by not requiring a subscription. It will let users pay per movie or download. Amazon Prime subscribers pay $79 a year and Netflix charges $7.99 a month for streamlining.